For those of you who are sewing along and would like to show it off, I'll have the button up on my sidebar this evening when I get home from work. But right now is all about what fabric to use for your Schoolhouse Tunic! The pattern fabric suggestions read: "lightweight cotton or linen fabric with a nice drape". So what exactly does that mean? Obviously that means that you can use quilting cottons, but the "nice drape" part is very important. The tunic used in the button was made from a Khristian Howell fabric that was fairly crisp, like the feel of the Washi fabric. If you want to use quilting cotton but are concerned about the drape, consider using an Art Gallery fabric or Cotton Couture [such as Sarah Jane's new Out to Sea line!] because they have excellent drape and a silky feel. Quilting cottons are the 44-45" width listed in the fabric requirements, so you will need 2 3/8 yard for the shirt length and 2 7/8 yard for tunic length. 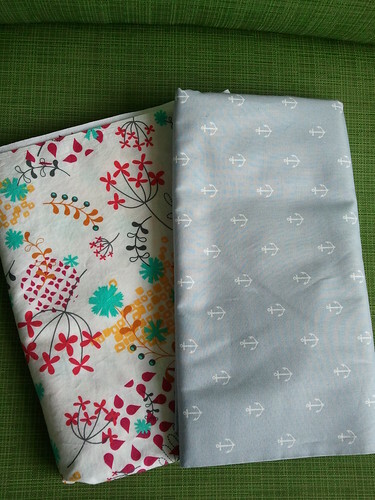 Please note that fabrics with a directional print, such as the anchors, may require additional yardage to ensure that the print is facing the correct way in all pattern pieces [for example, you might not be able to just lay a sleeve in a leftover square of fabric because the anchors would end up sideways, etc]. If you already have a directional print fabric and want to see if it will work, lay out all the pattern pieces first to find the best layout. You can always lay the placket pieces out last since they will be inside the fabric, so it doesn't matter as much if they are a little wonky. 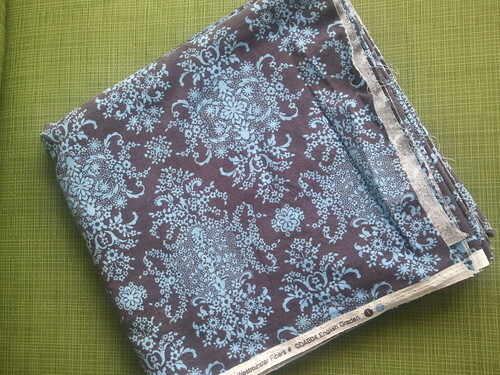 What if you want the simplicity of sewing with cotton but don't want to use quilting cotton? Chambray is an excellent fabric to use for this. I personally love the look of chambray, and think it's such a classic fabric. You'll usually see it in a blue, but I've had my eye on this gorgeous plum chambray that I might have to pick up soon if my resolve weakens. Cotton seersucker is also nice. Seersucker is that fabric that has a slight nubbly texture to it. You can find seersucker in all sorts of versions, including variations that aren't as obviously textured as others. I made my 2nd Schoolhouse Tunic in a seersucker plaid. Now I know that many people are starting to sew for fall, so these next options might not be for you. But if you live in an area that won't get cold for a few months, or you want to make a tunic/shirt that will be great for the spring and summer, voile is a great option. It will create a finished garment that is more flowy to the body then the crispness of the 100% cottons mentioned above. Voile would be perfect if you're looking to create a dressier top, or if you're looking to make it sleeveless to wear under a cardigan. 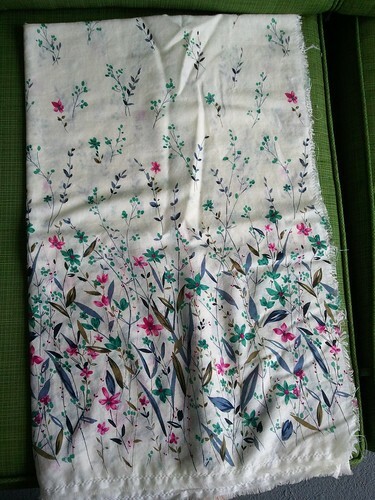 The thing to note with voile is that it is slipperier to sew with, so if this is your first garment then I might hold off. However, it is a luxurious fabric to wear against your skin. 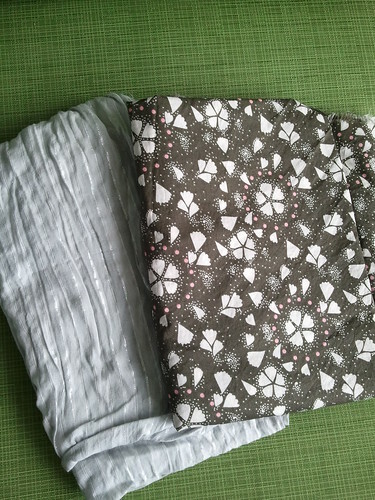 The voile on the left in the picture has more of a sheer cotton feel to it, while the AMH voile on the right is very silky feeling. The other thing to note about voile is that it is traditionally wider than quilting cottons...anywhere from 50-60" wide. Take this into account when purchasing yardage. If you're nervous then you can purchase the regular amount listed and you will just have extra fabric leftover, which is not a bad thing! If you're even bolder you can sew with a cotton blend, such as a cotton-silk blend. This will be even slipperier than voile, but can have very lovely results. And linen...we can't forget linen! 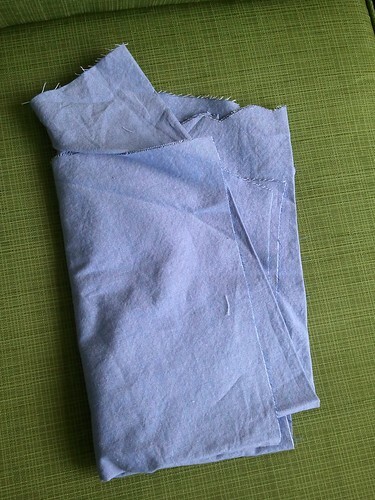 I love to sew with linen, and think it makes great clothes that can be casual but "nice casual." 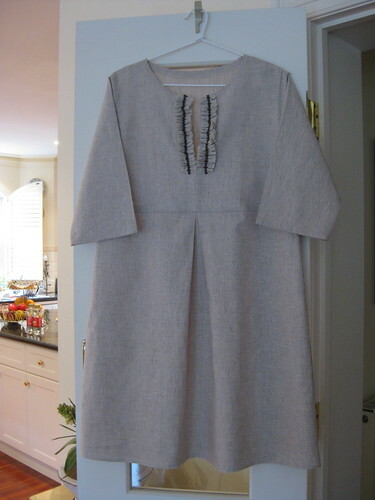 I have yet to make a linen Schoolhouse Tunic, so the lovely example above was made by Evelyne at Hand Sewn Home Grown. 100% linen can sometimes be tricky to sew with, but luckily we have those great Essex cotton-linen blends to solve that problem. And they have so many beautiful colors now! 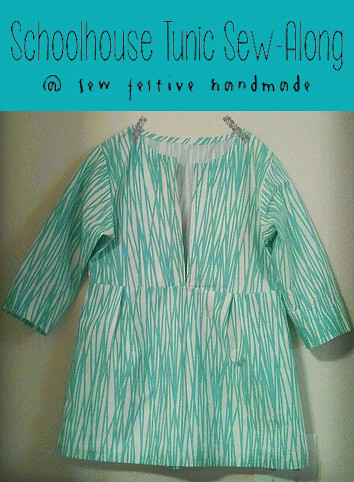 Have you sewed a Schoolhouse Tunic before? Perhaps you can take it to the next level on this tunic by using a border print fabric? Fabrics such as the one shown above take a little more thinking when laying the pattern pieces out to cut. 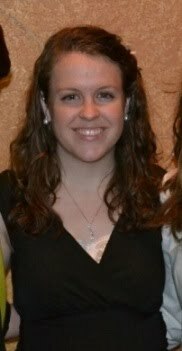 You could have the border print just on the bottom of the tunic, or it could appear somewhere on the bodice, etc. I would not recommend using a fabric like this if you are a new garment sewer. Moving beyond cotton fabrics you can use a variety of dressy fabrics that tend to be polyester blends. Obviously this will create a completely different look for your finished garment. A fabric such as the one above would make an excellent flowy, fancier dress. It would also create a top that could be worn much more easily with dress pants. 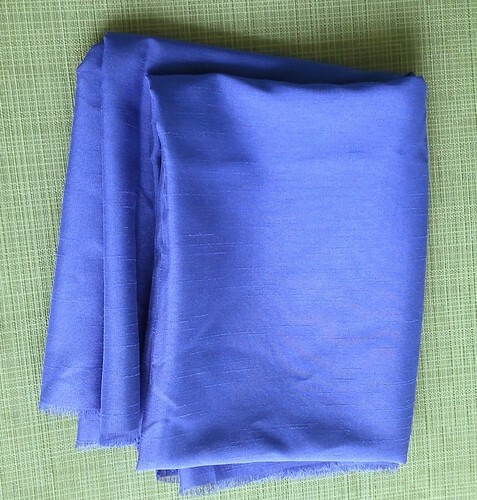 This type of fabric particularly would lend itself well to the optional elastic at the sleeves. I am currently making a Schoolhouse Tunic for fall out of this Amy Butler lightweight corduroy. I bought it completely without a plan earlier this year and had thought to make it into a skirt. But hey, a tunic is better! So if you are willing and comfortable enough to perhaps have to alter some of the pattern instructions in order to use fabrics like this then by all means, please do so. Just make sure that the fabric has a nice drape; you don't want your body to look like a box. To test the drape prior to cutting into the fabric just pinch a bit of it in the middle and hold it up. Does it fall gently or does it remain stiff? 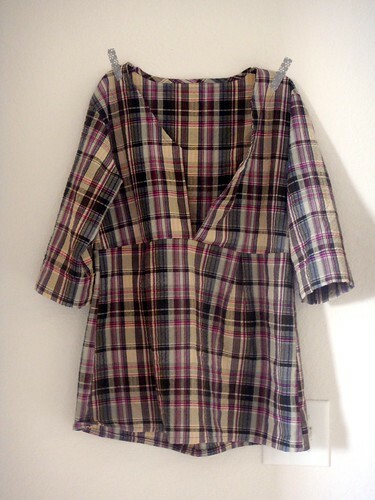 I don't have any pictures but I'd imagine that a lightweight wool would make an excellent Schoolhouse Tunic dress too! Just a quick note on the yardage amounts: No, I've never used the full amount of fabric listed on the pattern. First, I've never used a directional fabric. Second, I still buy the listed yardage because I like to be safe. Then you have some extra if you want to change the pattern or you mess up. 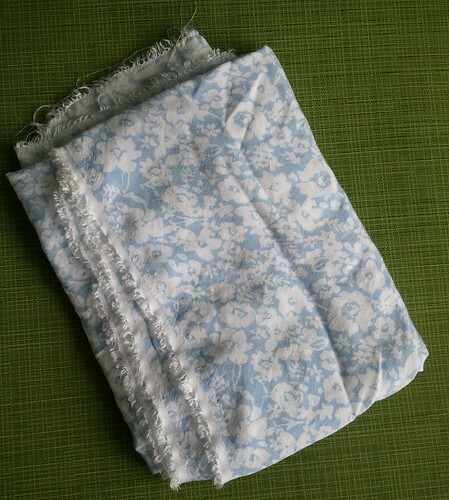 I like to keep all the extra bits of fabric from projects to use as pockets or facings or bodice muslins, etc. Just keep all of this in mind as you shop for your fabric! There are some great sales going on right now to take advantage of, including the code SPIN15 at Pink Castle Fabrics for 15% off, and the automatic discount on 3+ yards at Hawthorne Threads! If you're nervous and want to check that your fabric will work, feel free to email me!